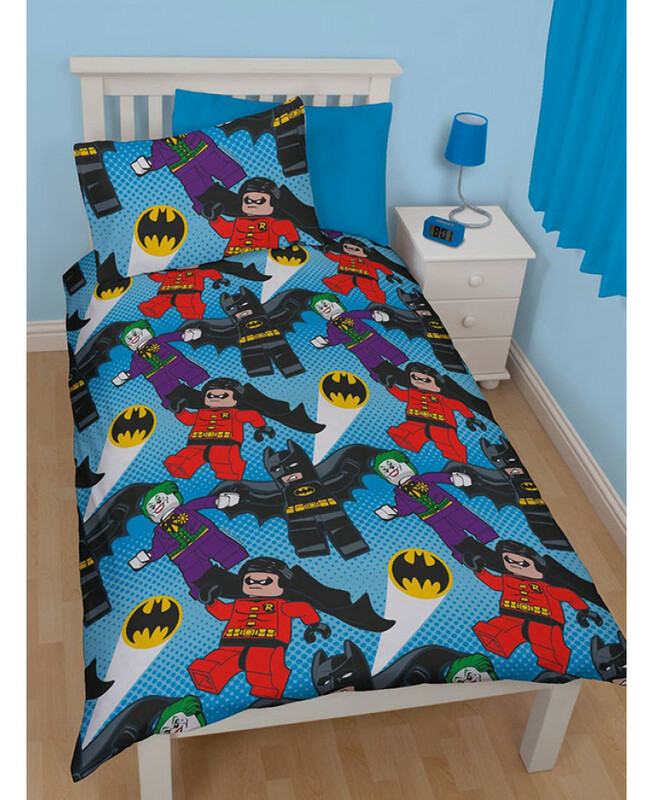 This Lego DC Superheroes Batman Dynamic single duvet cover set makes the perfect addition to any Lego Superhero fan's bedroom. 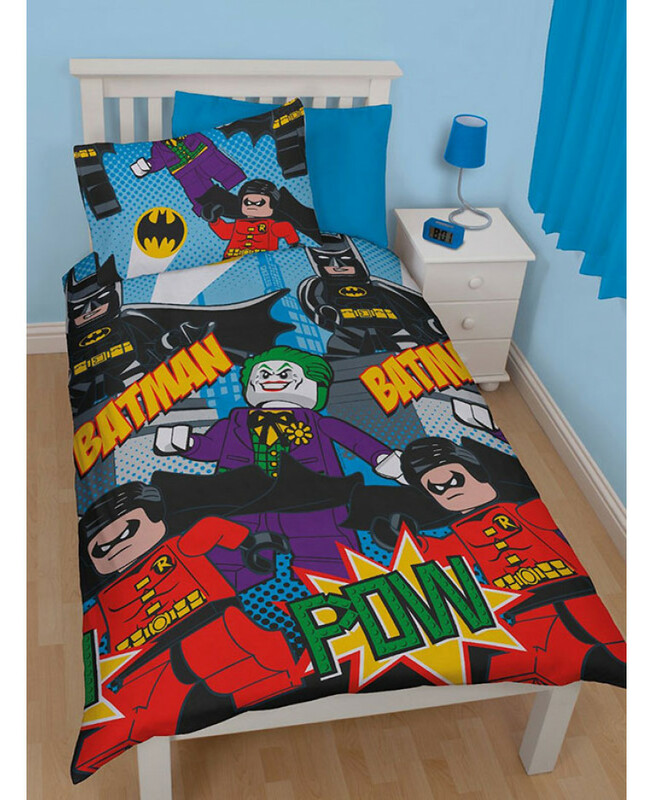 The cool design features Lego Batman, Robin and The Joker on a comic book style city themed backdrop, with a smaller repeat pattern on the reverse on a blue background. 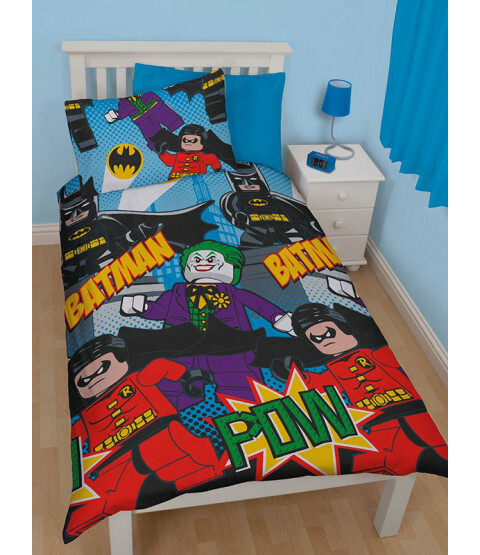 This bedding set can be machine washed and tumble dried on a low setting.